Yolanda Sotelo responds to principal's claim that she suppressed curriculum. A new twist to our investigation into claims of illegal grade changing at T-U-S-D high school. Sources told us in June that a Pueblo High School administrator changed seniors grades without a teacher's approval so they could graduate. After our report aired the principal quickly turned to social media to deny it, And now the teacher -- whose grades were changed -- has come forward on camera to explain what really happened. The proud class of 2016 at Pueblo Magnet HS on graduation day May 26th. 246 seniors received their diplomas exceeding Principal Auggie Romero's goal of 235. “Which bring the graduation rate to 84%,” said Romero. 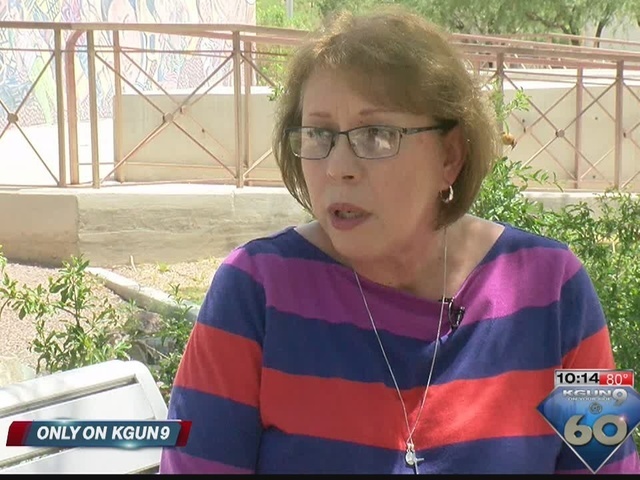 Yolanda Sotelo told KGUN9 six of those students should not have walked with the rest of those seniors because they failed her English course, but the principal, Auggie Romero, gave them passing grades. “This is something that has never happened before in my 31 years as a teacher,” said Sotelo. Romero posted on the Pueblo Facebook page that he "didn't change any grades." He wrote: "It was discovered that a substitute teacher was suppressing curriculum, therefore, denying the students the opportunity to be successful." But Sotelo is not a typical substitute teacher. She's a highly-certified -- English teacher -- now charged with creating strong culturally relevant curriculum for the entire district. She took over rigorous college-prep Chicano literature classes after the third-year teacher quit at the end of the first semester. “They had a substitute last year and they got cheated and I didn't want that to happen again,” said Sotelo. But when she stepped into her classrooms he said she faced the same issues as the teacher who quit because the district moved to a more lenient discipline policy to reduce suspensions and expulsions. The final student roster of 51 students in her 3 classes shows 620 absences in the 2nd semester alone. And tardies add up to 281. She entered them into the school's computer system, yet Pueblo High School's Incident Detail Report shows only 1 tardy -- that's all the HS students over the entire school year. “Kids are roaming the hallways and it's okay. Kids are arriving tardy 5 to 10 minutes late and it's okay, because nothing happens. And even though I did bring up this issue with Auggie many times and the young lady who taught before me, nothing was done,” said Sotelo. And emails show some of her students fell behind. “I assigned them two novels, they had to do homework, they had to write essays, they had to show comprehension on the novels they read and some of them just didn't want to do it. And so I knew there was going to be an issue,” Sotelo said. Required calendar entries and emails to Romero reveal she did what she could to help the struggling students succeed. “I told him this is what I'm doing. Staying after school, I go looking for them. I allowed them to make up, revise essays. I reached out to parents and met with students,” she said. Then a few weeks before the end of the school year, a string of emails show Romero pushed hard to boost graduation rates. 17 students had been in danger of failing her class, including a student who plagiarized an essay. She printed a copy of the grade verification. It shows 14 students received an "F." With less than a week before graduation, pressure from the principal to pass failing students escalated. Sotelo said she had enough and emailed Romero: "if you want to override and change grades, that is your decision." “And then on the day of graduation I printed out the grades again just to see how many kids had their grades changed. I knew it was going to happen. I didn't know how many, but I knew it was going to happen,” she said. The printed documents shows 6 grades changed from an F to a D. Passing grades given students without her consent – a violation of state law Title 15. The statute clearly states "teachers are solely responsible for passing or failing students and only a Governing Board can overturn a grade." It's also clearly stated in TUSD policy "the authority for assigning grades shall rest with the teacher of the student." After our investigation aired Superintendent H-T Sanchez explained to the Governing Board that "Romero consulted his supervisor Abel Morado for guidance. Romero was advised the substitute teacher could not deny students grades for being tardy and the substitute teacher was advised that the students needed to have their work graded and counted. That was it. Beyond this, there is nothing. The principal acted within his authority." But Sotelo argues Romero didn't have the authority because she never suppressed curriculum and never agreed to change the grades. “I did not agree. No. Why would I agree to that,” she said. And the district never contacted the substitute teacher -- Sotelo -- to get her side of the story. 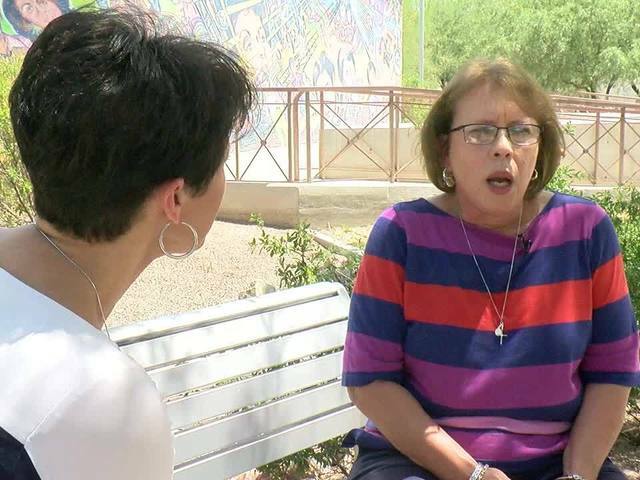 Sotelo fears retaliation, but came forward to us because she believes the district downplays and under-reports discipline issues and it's negatively impacting behavior and academics throughout the district. 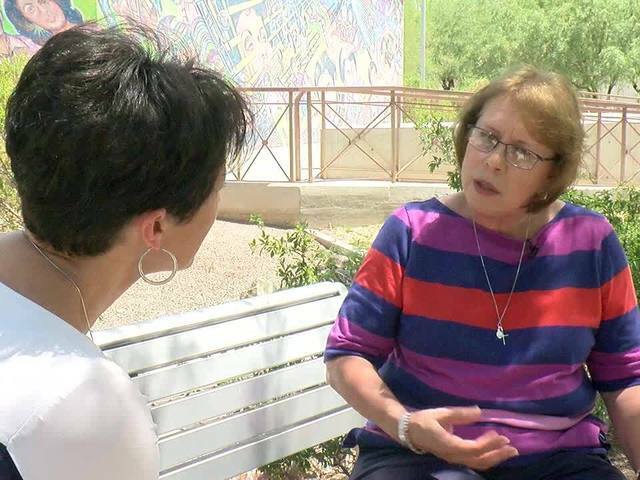 She says teachers need more support and TUSD administrators are sweeping these issues under the rug. Cavazos asked Abel Morado for an interview about the Pueblo grade changing claims and he declined.